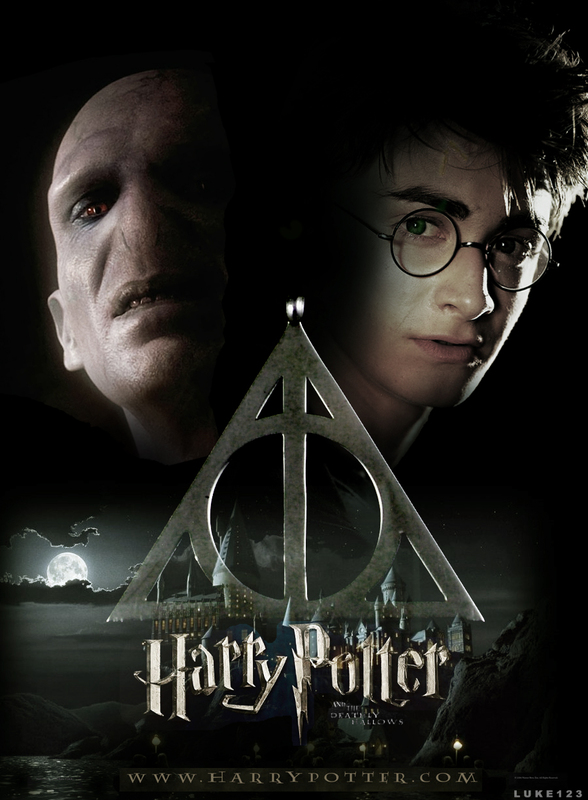 Harry Potter and the Deathly Hallows, Part 2: A Christian’s View, Redux | J.W. Wartick -"Always Have a Reason"
I’ve made no secret of the fact that I’m a huge Harry Potter fan. I think the books are phenomenal, and the movies have often been just as great. What interests me, as usual, is how the Christian can relate to this extraordinarily popular series. Harry Potter and the Deathly Hallows, Part 2 released on Blu-Ray and DVD today. I was at the midnight showing with my wife (then fiancee) when the movie came out in theaters. The best description I can give of our feelings when it ended is this: bittersweet. The series is over. The books and movies are no longer coming. This is the end! Or is it? That is the feeling I got throughout the movie. Is death the end? The movie takes little time to get going. Soon, viewers are thrust into the epic final conflict in which Harry Potter rushes to destroy all the horcruxes (pieces of the evil Lord Voldemort’s soul) in order to finally defeat his enemy. Things get going fairly well. Harry shows up at Hogwarts again with resounding support. He quickly uses his allies to take back the school and set it up for a final showdown with evil. As his friends battle the forces of darkness closing in around them, Harry searches frantically for another horcrux while Hermione and Ron locate a basilisk fang–one of the only things capable of destroying these pieces of soul. But once both Harry and Hermione/Ron have achieved their missions, the goal is still only close at hand. They must destroy Nagini, Voldemort’s snake (and another horcrux). They immediately set off to find the snake and witness the murder of Professor Snape–who turns out to be a double-agent after all. The fact that he killed Dumbledore turns out to not show his final betrayal, but the depth of his loyalty. But from Snape’s dying memories, Harry gleans the truth: Harry himself is an unintentional horcrux. When Voldemort killed Harry’s parents, he sealed part of his soul inside Harry. So Harry must die if evil is to be defeated. Harry goes willingly to his death. He meets Voldemort among his followers, and allows himself to be killed. But it turns out that this is not the end. Dumbledore had sealed the Resurrection Stone inside a gift to Harry. This stone allows Harry to speak with his dead friends and family. Harry, once dead, is made alive once more after a discussion with Dumbledore. Harry awakens in a pivotal scene in which Voldemort is announcing his victory over all wizards, and he and Voldemort battle in a final, epic showdown in which Harry overcomes evil once and for all. Christians reading this should be sensing some interesting underlying themes here. Harry Potter is innocent–he’s thrust into the events upon him. He willingly goes to his death, knowing it is literally the only way to defeat evil. And, once he’s died, he is resurrected, back to finally bring about his victory over Voldemort. Yeah, it seems Rowling might have borrowed a bit from the story of Jesus. What explains the astounding popularity of the Harry Potter series? J.K. Rowling has weaved a series of books which tie together in sometimes amazing ways. What seem like random details and “fluff” in one book turn out to be of immense importance later in the series. Each book, mostly self-contained, features a different thrust. Yet they are all tied through broad overarching themes. But could it be that there is another theme, oft-ignored in discussions of Harry Potter? It seems so. The climax of the series occurs in the death and resurrection of Potter. The Christian story culminates in the same. Potter is fiction, but his tale, so wonderfully complex, leads us to the story of Christ. He had to die for the sake of all–Voldemort would have overcome. Jesus, similarly, had to die for the sake of all–lest sin and the devil overcome. This parallelism with Christianity was not revealed until the final book, yet perhaps it can explain how Rowling was able to make the conclusion to her epic so satisfying. She was telling a story we all knew. She was telling us, in a very different way, what must happen for evil to be overcome. Her story is fiction, Christianity’s story is real. What we want to believe in (Harry Potter) is what many of us do believe (Christianity). Whether intentional or not (and I think it was intentional), Rowling wrote a story which resonates deeply with Christianity’s own. And her fiction points us towards the greater reality. Christians, I encourage you to read and watch Harry Potter. The books and movies are just phenomenal pieces of literature and filmography. Think of the themes that are woven throughout the books. Think of the final showdown between good and evil. And think of Jesus while you do so. You’ll find that within Potter, we discover hidden truths of our own faith. But hey, you don’t really have to think of all these themes. And it’s highly questionable whether these parallels are intentional or not. It’s okay to just enjoy the movies anyway. My point is that, as a Christian, I saw these themes. And I found it thrilling. I discuss a number of other popular movies and books. If you liked Harry Potter, check out The Hunger Games and John Carter. So true… And yet ppl still condemn the series. HEATHEN. lol, jk. good post man, I like it, although I will say that I’m not a fan of Harry Potter. Read the first few books and saw a couple movies but not something I got into really. You should review the movie Ip Man next 🙂 lol. not that it’s controversial, but you did such a good job with this one haha. Although, now that I think about it, you could do a post on Christians and martial arts…that’d be interesting. I’ve heard lots of Christians give other Christians grief for practicing martial arts – kinda dumb if you ask me. haha. anyway, thanks for the post sir! Thanks for the comment, Jon. I must admit that while I’m sure the topic is controversial to some, Christians and martial arts is something of very little interest to me. Good review, J.W. Why do you suppose the populace has no problem accepting such a story in fiction, but not in reality? What are the barriers to the apologist who wishes to appeal to HP in conveying the Gospel?